Home Contest	Orly Metal Chic Metallic Matte Nail Polish Giveaway! Orly Metal Chic Metallic Matte Nail Polish Giveaway! Haaaay people of the world! I have something fun for you today. 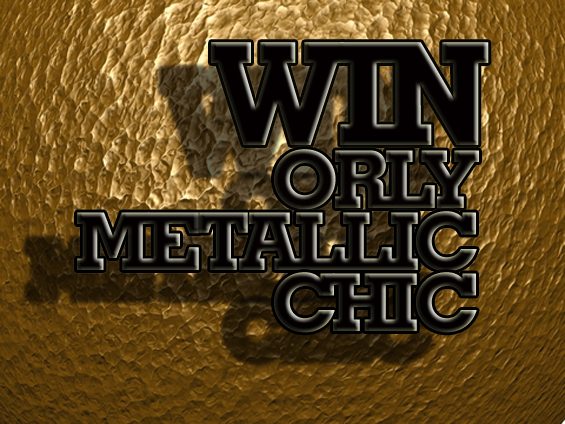 I am giving away two colors from Orly’s Metal Chic Metallic collection. These are really awesome matte colors, not just basic chalky flat boring colors, but shimmery, glittery ones! My original review of these is here and below are the colors I am giving away. How: Just leave a comment with your email address on this post about whatever you want! Notification: I will notify the winner via email on Monday, March 1st. Please note: you will only have 48 hours to respond to my email if you are chosen, otherwise I will have to pick another winner.